McDonald’s employs over 97,000 people in the UK and around 1 million across the globe. 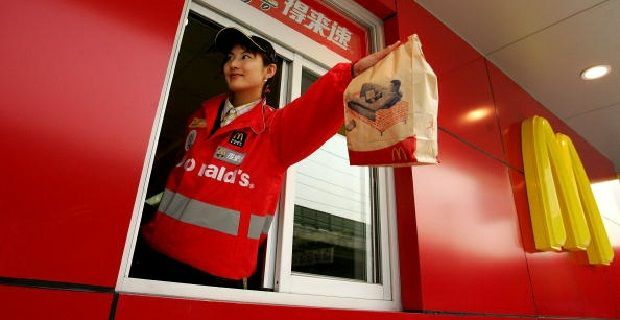 Most of them work part time and short shifts in one of the 1,200 McDonald’s restaurants dotted around the country. A wide variety of different jobs are out there for the fast food chain but we’ll take a look at the pay given to the customer serving roles. As McDonald’s employs a lot of people from different age ranges and with a variety of levels of experience, the McDonalds UK pay rates differ greatly from job to job and person to person. The wages for 16 to 17 year olds working for McDonald’s company owned restaurants begin at £4.25 an hour. Workers aged between 18 and 21 can expect to receive at least £4.65 per hour. Those above 22 years old get a minimum of £5.55 an hour. In franchised restaurants the rates vary a little but that information’s not readily available. Trainee managers can expect a starting salary of at least £18,500 per annum with anything up to £21,500 offered to new starters in certain areas of the country, like London. Life Assurance cover and a Private Pension scheme are part of the package no matter which area of the country you begin your McDonald’s career. All McDonald’s employees qualify for a range of benefits including employee discounts and holiday allowances. Training and qualifications are also supported so this is an employer which actively embraces career enhancement. At the moment, the national minimum wage is £6.50 per hour for those over 21. McDonald’s don’t support that Living Wage rate at this time because, as with a lot of other retailers, they can’t afford to in the volatile marketplace and during these times of economic uncertainty.